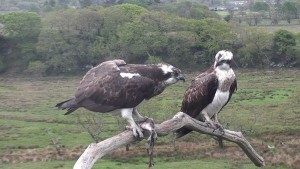 Not so very long ago the Osprey was a very rare sight indeed but thanks to a dedicated group of volunteers at Bywyd Gwyllt Glaslyn Wildlife (BGGW) the Osprey population is being nurtured and increased. Now you can learn more about their fantastic work and maybe even spot an Osprey or two at their new visitor’s centre. One of the most spectacular sights in Snowdonia National Park is that of the majestic Osprey soaring across our wide open skies. We are lucky enough here at Bryn Bella not only to be surrounded by utterly gorgeous scenery but also to have access to an abundance of beautiful wildlife such as the Osprey. Historical records dating back to medieval times refer back to the Ospreys presence in Wales and point to the bird being a special symbol for our ancestors. Unfortunately, by the mid eighteenth century their numbers were vastly reduced as a result of hunting and the work of egg collectors. By the early twentieth century it was thought that the Osprey had disappeared from Wales forever. Then back in the early noughties something pretty magical happened. A sighting of a summering osprey and the further discovery of an Osprey nest by a cyclist could mean only one thing, Ospreys had returned to Wales and they had chosen a beautiful spot over the river Glaslyn as their home. staffed by a team of dedicated wildlife volunteers and enthusiasts took over this special responsibility. 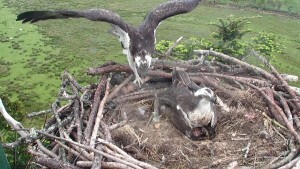 The Glaslyn nest has seen the arrival of new chicks each year since it was discovered and Osprey numbers across the UK continue to rise. The brand new Pont Croeser Visitor Centre opened to the public in 2015 and has been a roaring success. Here you can find out more about the Ospreys themselves along with the history of the project plus use telescopes to spot the rare birds themselves. A live stream is also available at the visitors centre and online to make sure you can keep up with happenings in the nest any time of day or night. Less than 40 minutes away from Bryn Bella by car we recommend a trip to Pont Croeser Visitor Centre to all our guests. Whether you are an experienced twitcher or an interested novice the experience of encountering these majestic birds in their stunning habitat is a fantastic day out. 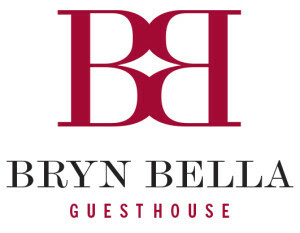 Bryn Bella is the perfect base for any nature enthusiast and its eco-friendly credentials ensure that it is in harmony with the local landscape. Connecting with the great outdoors here is as simple as looking out of your window at the beautiful views but we can also recommend trips to a range of rural spots within Snowdonia National Park. Experience the magical Fairy Glen on our doorstep here in Betws-y-Coed. or enjoy a whole host of beautiful birdlife at RSPB Conway. 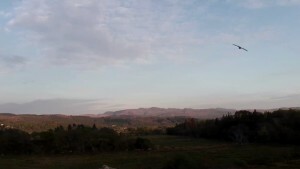 Wherever your natural adventure takes you why not start it here at Bryn Bella? Engheitlning the world, one helpful article at a time.